"I love your newsletter. I am constantly inspired by your articles and ideas for getting organised. Your tips are practical and easy to implement. 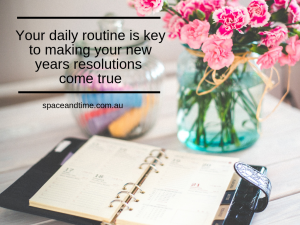 I look forward to see what great ideas you share 😊❤️"
To make a start on clearing clutter in your home make a commitment to consistently keeping ONE area of the home tidy. Are you over run by the mountain of school work that comes home each day? Try some of these tips to sort, store and archive the bits you want to keep.